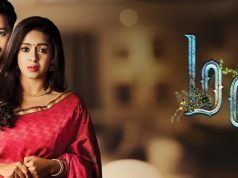 Nila is a Tamil television Serial, which is telecasted on Sun TV from Monday to Saturday at 2:00 PM. It premiered on 18th March 2019. Bavithra and Rajeev Ravichandra in the main protagonists of the Serial along with Sharmitha Gowda, Sadhana, Jeeva Ravi Kavitha Solairajan, Shari and Vasanth Gopinath in Supporting roles. The story will revolve around ambitious girl Nila, who aspires to pursue her higher studies in abroad and become a scientist. Nila faces stiff opposition from her family. But her boyfriend continues encourages her to follow her dream will form the major crux of the story.